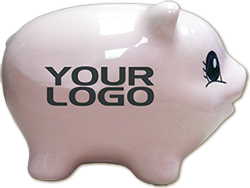 Earn The Piggy! Claim Your Prize! 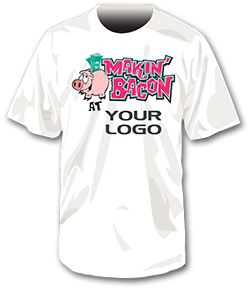 “Makin’ Bacon”! Players earn piggy banks. The banks contain prize tags and there's no need to save up! Players open the banks and gets their prize. 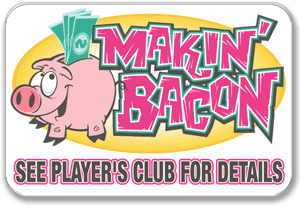 Players earn piggy banks by earning, points on their players’ club cards. When the determined number of points are earned they are sent to the “hog farm” to choose a piggy bank. The banks contain prize tags, and there’s no need to save up! Players open the banks to reveal the prize tag inside to see what they have won. Prizes can be anything from free play in any amount, buffet, a t-shirt, to a Grand Prize of CASH to draw a crowd. Prizes are determined by the casino. You decide the prizes and the number of each to give away. This is YOUR PROMOTION. The prize that each prize tag contains and how many of each is up to YOU! The possibilities are endless! 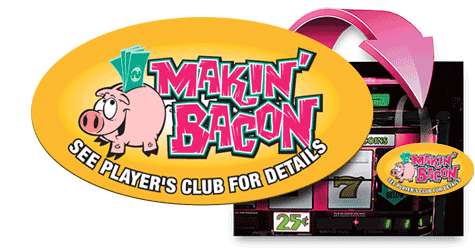 Players get to keep the pig, so they can save up for their next casino trip or even gift it to kids or grandkids, and we ALL know how popular that is. T-Shirts with your casino logo.